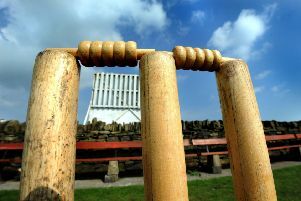 Tynemouth CC’s First team travelled to Gosforth and elected to bat first against high flying South Northumberland. They were dismissed for 142 in a dogged 44.2 overs of resistance. The start of the innings was good with skipper Ben Debnam (28) and Phil Morse (36) making progress after Nick Armstrong was dismissed for 8. However, only Tahir Khan with 23 made any significant further contribution to the total as Jon Weightman (5-51) and Lee Crozier (3-38) did most of the damage. The South North reply began in similar fashion with a second wicket stand by James Miller (32) and Jonathan Craigs (21) after losing the prized wicket of Adam Heather for only 2, run out following smart work by Morse. The difference in the two innings was the determined fifth wicket undefeated stand of 76 by John Graham (28*) and David Edwards (51*) as the hosts won by six wickets. The Second Team, in the reverse fixture at Preston Avenue, lost the toss and fielded first against South North who posted 198-8 before declaring at the 52 overs mark. They had made good use of the splendid setting on, for once, a sunny day. All the top four bats contributed as Tynemouth toiled in the field. Recently promoted Richie Hay, a big miss in the Third Team, bowled well to claim both openers with 2-41 and veteran Tony Lion took 4-42. The Tynemouth reply saw Carl Salvidge (15) and Ben Richardson (10) put on 27 for the first wicket and then 20 from new boy Niall Piper gave some hope. However, a dramatic collapse resulted in a big defeat by 120 runs with only 78 runs scored in 34 overs. The Third Team played their second home game of the Northumberland season on the second square at the club with Warkworth making the journey south. The visitors won the toss and inserted Tynemouth who soon lost Geoff Simpson for 2. Next ball Simon Ward was also bowled by Adam Hall. There was then a long stand by maturing Aidan Wilson (15) and the encouraging Ricky Handa (27). In reply, Stephen Dargue (34) and Scott Gibson put on 38 for the first wicket when Carr bowled Gibson. Dan Storey (1-14) claimed the wicket of Rory Wilson, caught by Wilson for only 7. A long protracted finale saw Hall and Pringle painstakingly take Warkworth over the line in the 34th over by 7 wickets. This defeat sees the Thirds firmly at the bottom of Division 1 and next week they make the longer journey north to play at Berwick who are second bottom.